Rating a videogame condition is not an easy task to do, but it's rather important to learn doing it for a collector. This is almost necessary in order to sell a game or to buy it, but also to gauge exactly what you have between your hands! The value of a game depends of course of its rarity, but it can vary depending on its condition... All Neo Geo collectors have some knowledge of these grades and how to assign these, but let's study it deeper in this article. NEW Strictly new game, never played. LIKE NEW Opened game, but perfect condition. MINT Game have been used, but show no signs of use. NEAR MINT Very light and rare signs of use. EXCELLENT Some wears or signs of use, but still well preserved. GOOD Advanced wear - Almost acceptable for a collector. JUNK Very bad condition or incomplete game. On the ten possible grades, nine imply that the game is complete. When it was bought as new in a shop, what included a Neo Geo AES game? As the condition of the box is still very bad, it is unthinkable to grade the game beyond USED. 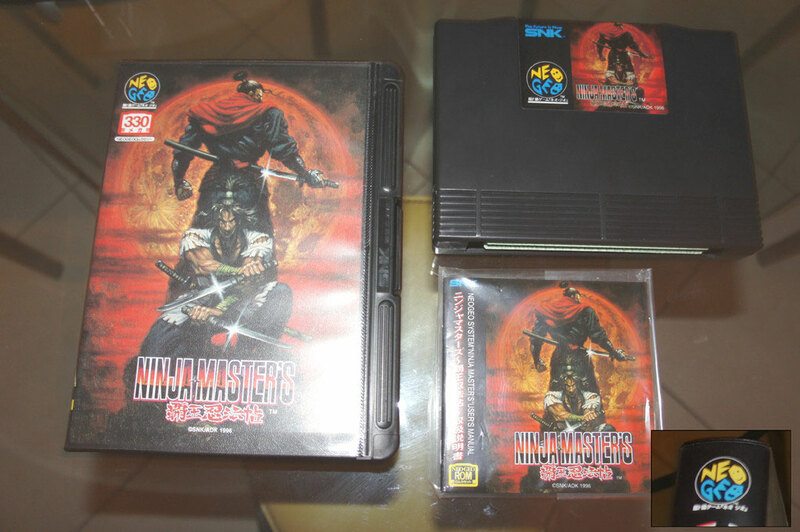 Second example, showing here a better condition, an EXCELLENT Samurai Shodown II. Once again, the game is complete. 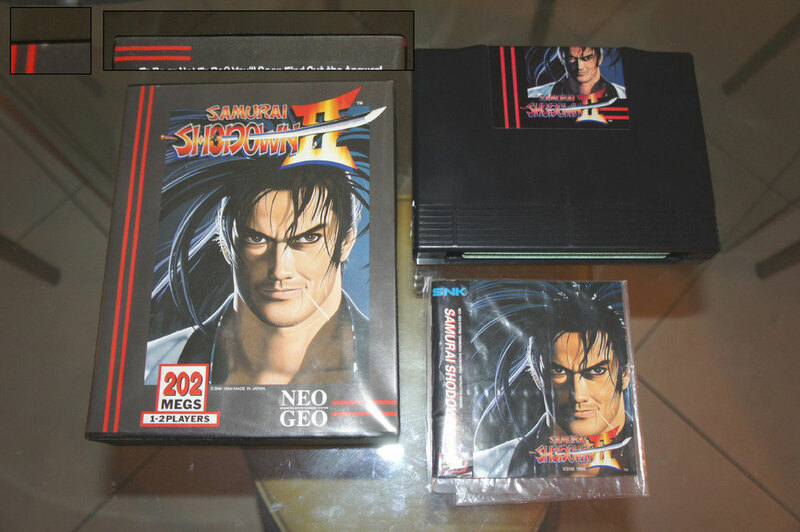 If the original baggy is present, however there is no Neo Geo sticker. The insert is in very good condition but shows some slight whitening on top of the insert. The box is immaculate and the inner plastic is not split, the cartridge has a few spots on the front and very fine traces of insertion. The manual has some wear, including a small crease on the back cover. Mixed, since box and insert are a cut above the cartridge and instructions, which are however in a more than acceptable condition (Very Good). Overall, the game rates EXCELLENT grade. Last example, a MINT Ninja Masters. This title is particularly difficult to find in this condition, as many copies have sunfade on the edge or front cover. As we can see in the windows on the lower-right corner, this is not the case with this one, otherwise we couldn't possibly rate it as "MINT". 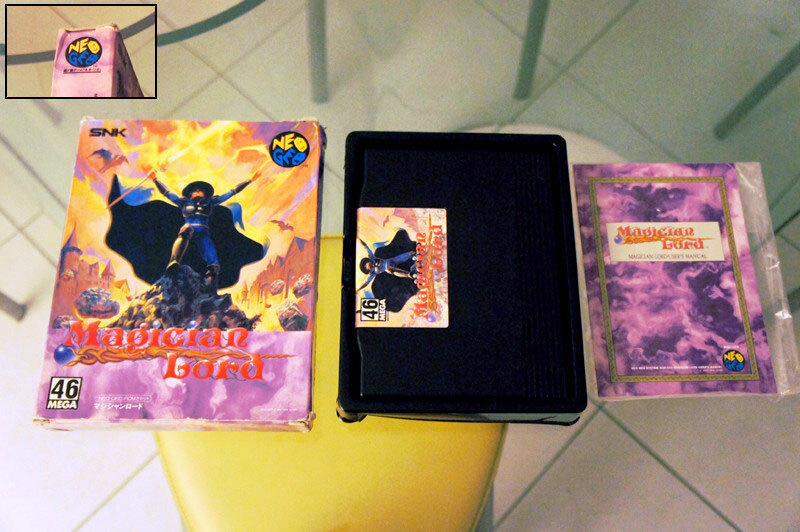 No sticker for this 'hard box' version, takes the game is complete with insert, box, cartridge, manual and baggy. No defect, perfect insert, like new box, no marks on the cartridge except tiny, barely visible traces of insertion. Notice is mint. Very homogeneous in every part, Ninja Masters deserves its MINT grade . You understand it, all signs of wear are not as important as each other. For example, insertion marks on a cartridge or a bend on the manual are less "serious" than a tear on an insert or a sunfade. And whether the assessments necessarly vary according to people, this classification system allows to navigate. Indeed, it is rare that a serious collector considers a game as MINT and another rates the same game as POOR ... At least he might not see clearly, or shows bad faith: if anyone learns to use it properly, this "Condition Scale" is in itself a real language among collectors.